What is Going On With These Four Stocks in the Spotlights? Yahoo! Inc. (NASDAQ:YHOO), Chipotle Mexican Grill, Inc. (NYSE:CMG), Illumina, Inc. (NASDAQ:ILMN), and VMware, Inc. (NYSE:VMW) are trending today after each company reported their latest quarterly earnings. Given earnings reports are one of the best predictors of the future direction of stocks, let’s take a closer look at the four equities. First a little about ourselves. We at Insider Monkey track hedge fund sentiment. Most investors don’t understand hedge funds and indicators that are based on hedge funds’ activities. They ignore hedge funds because of their recent poor performance in the bull market. Our research indicates that hedge funds underperformed because they aren’t 100% long. Hedge fund fees are also very large compared to the returns generated and they reduce the net returns experienced by investors. We uncovered that hedge funds’ long positions actually outperformed the market. For instance the 15 most popular small-cap stocks among funds beat the S&P 500 Index by more than 52 percentage points since the end of August 2012. These stocks returned a cumulative of 102% vs. a 56% gain for the S&P 500 Index (see more details here). That’s why we believe investors should pay attention to what hedge funds are buying (rather than what their net returns are). Yahoo! Inc. (NASDAQ:YHOO) was down by 1.74% in pre-market trading after reporting third quarter earnings of $0.15 per share on revenues of $1.0 billion, missing estimates by $0.02 and $260 million, respectively. Guidance is a bit light, with management expecting fourth quarter revenue of $1.16 – $1.2 billion versus estimates of $1.33 billion. To right the ship, management will cut costs, and focus on ‘fewer products with higher quality’. For better or for worse, Yahoo! Inc. (NASDAQ:YHOO)’s stock fortunes depend on Alibaba Group Holding Ltd (NYSE:BABA), which comprises the majority of the stock’s value. Given that we like Alibaba shares for the long term, we like Yahoo shares too. 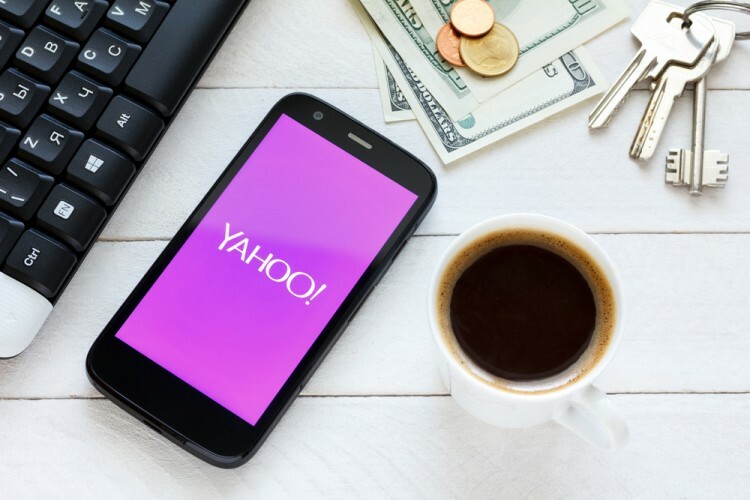 Yahoo is still planning to spin off its Alibaba stake in a move that could unlock substantial value if the IRS doesn’t charge taxes on it, although the spin-off may occur in January rather than in the fourth quarter. Chipotle Mexican Grill, Inc. (NYSE:CMG) was off by 6.8% in extended market trading after its third quarter results missed analyst earnings expectations by $0.04 per share. The company’s EPS was $4.59 on revenues of $1.22 billion. Growth seems to be slowing down as comparable-store sales increased 2.6% in the quarter, down from the 4.3% rise in comparable-store sales in the second quarter. Restaurant level operating margin fell 0.5% year-over-year to 28.3%. Guidance is for low to mid-single digit comparable sales growth for the full 2015. Given the forward P/E of 34, Chipotle Mexican Grill, Inc. (NYSE:CMG) needs to sustain a healthy, above-average growth rate to please its shareholders. An aggressive international expansion would help as well. According to our data of around 730 elite funds, hedge funds were bearish on Chipotle Mexican Grill, Inc. (NYSE:CMG) in the second quarter. A total of 36 funds reported holding stakes worth $884.43 million, amounting to 4.70% of the outstanding shares, versus 37 funds with ownership of $1.15 billion in shares a quarter earlier. Jim Simons’ Renaissance Technologies held 313,500 shares, among these investors. In the next page, we analyze the earnings reports of Illumina and VMware. Venrock’s Latest Pick Shows There Are More Biotech Opportunities to Explore... Gold Stocks Are Surging And Here’s Why Best Stocks To Buy Now: Hedge Fund Breton Hill Likes Automobiles, Tobacco Here’s Why One Famous Investor Thinks EXACT Sciences Corporation Could... Why Are These Stocks Shining Bright Today? What’s The Deal With These Sinking Stocks?